Why keep buying new knives? 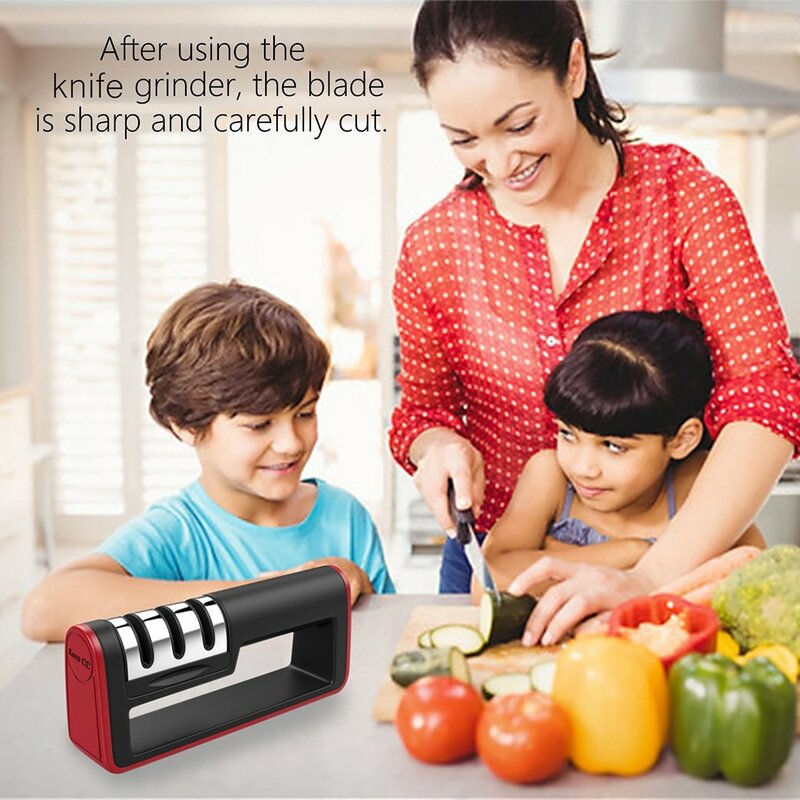 With this knife sharpener, dull knives will become sharp within just a few seconds. 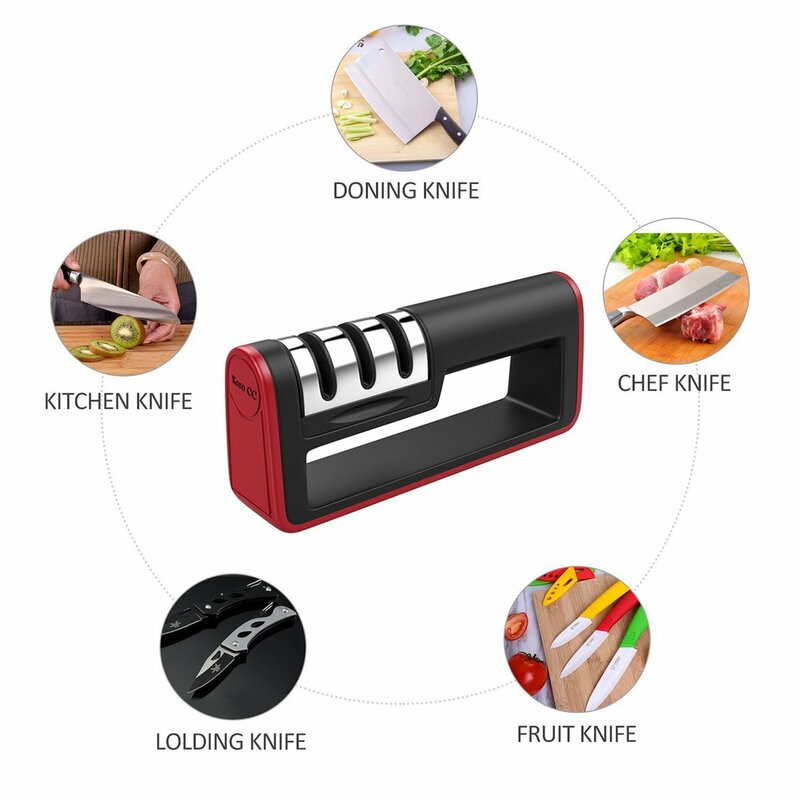 This knife sharpener is perfect for: kitchen knives, pocket knives, carving knives, cleavers, utility knives, fillet knives, and more. 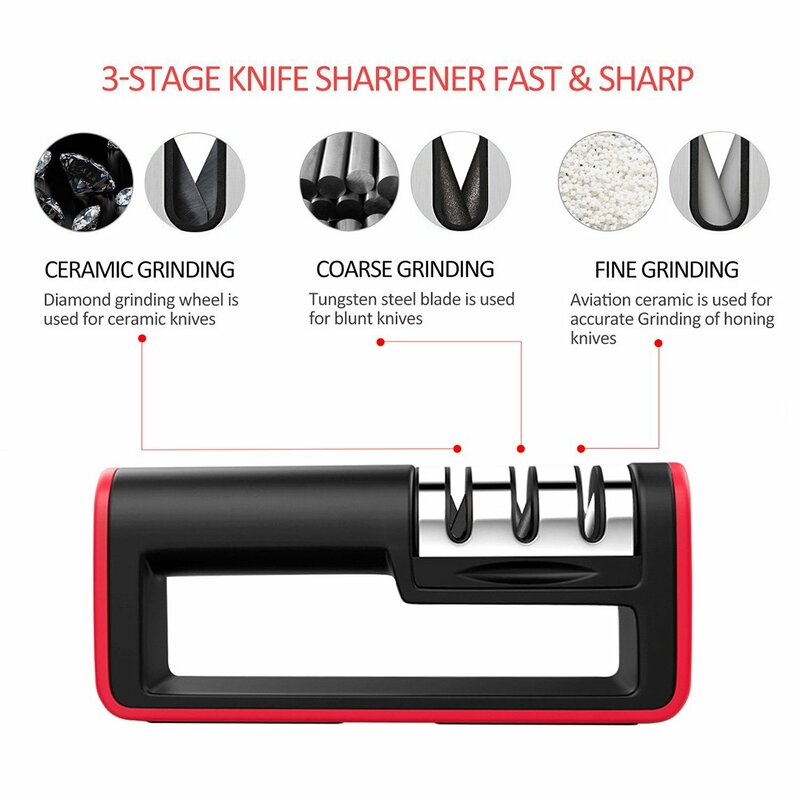 While using this sharpener, you are going to be working with a 3-stage system. 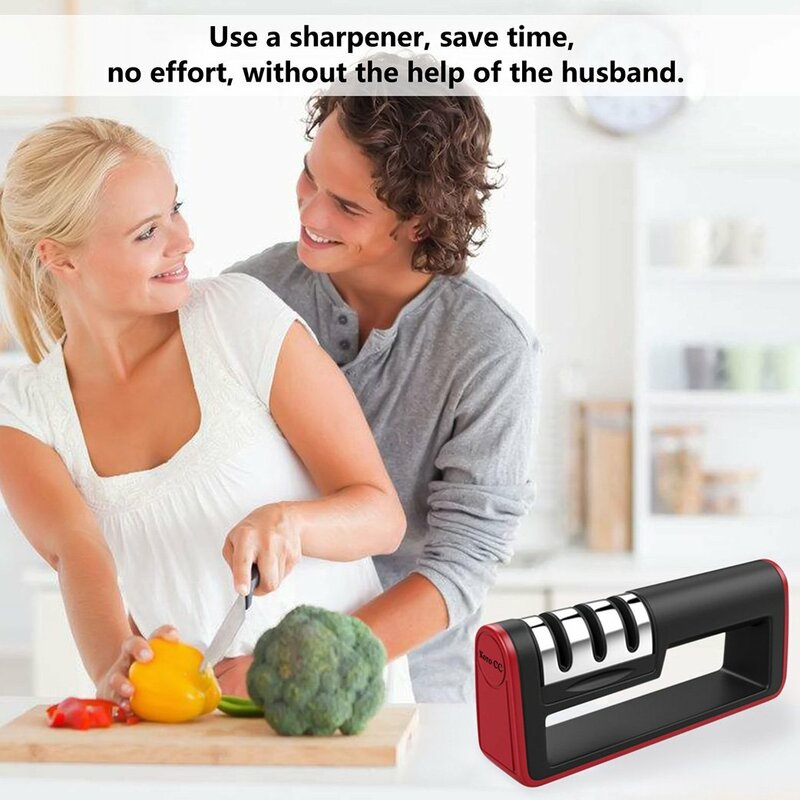 Therefore, you will need to go through 3 steps to get sharp knives. First, you need to place the dull blade into the diamond steel slot. After doing so, you will need to pull it out 3-4 times. However, this step must be done in the SAME direction. Second, you will need to do the same in the coarse-tungsten steels slot. Lastly, place and pull out the blade of you knife in the fine-ceramic slot. Is anyone in your household left-handed? 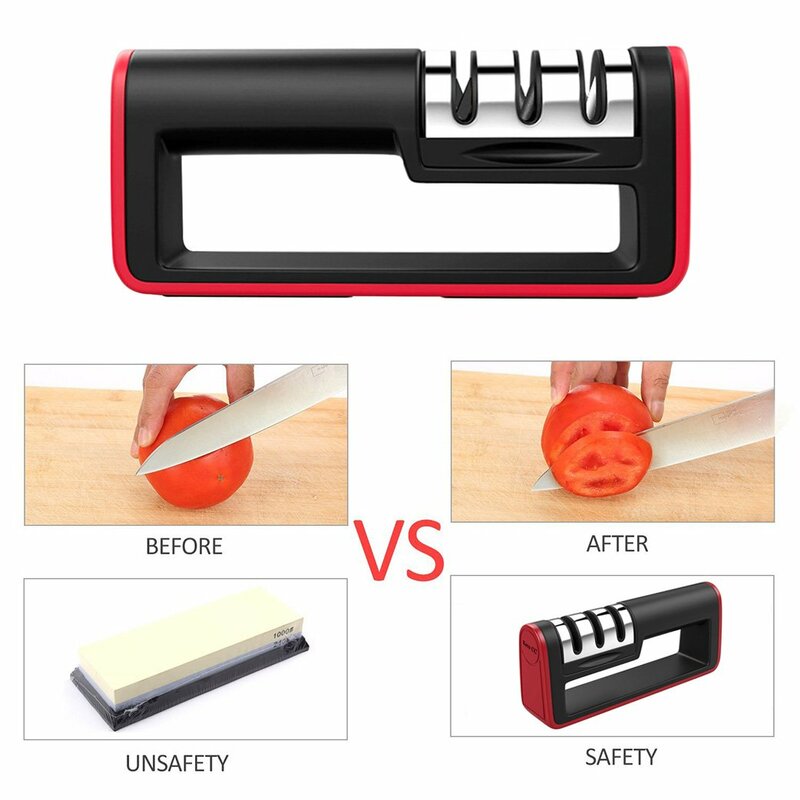 This knife sharpener is suitable for left-handed and right-handed individuals. Have you been cut while sharpening knives? Not anymore! 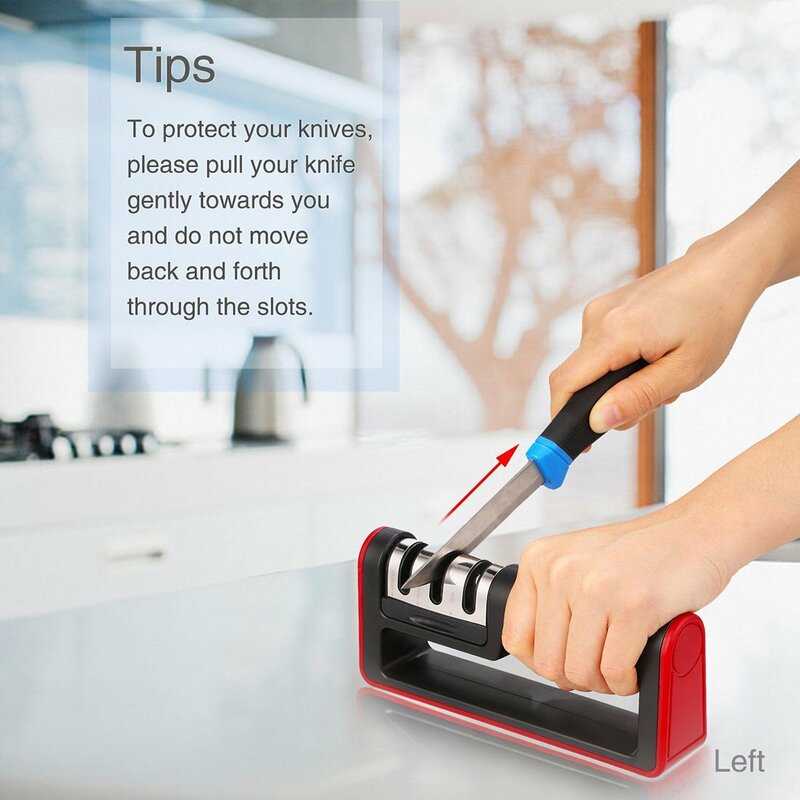 Due to the design, your fingers won't be anywhere near the blades. Therefore, you do not have to worry about getting cut. 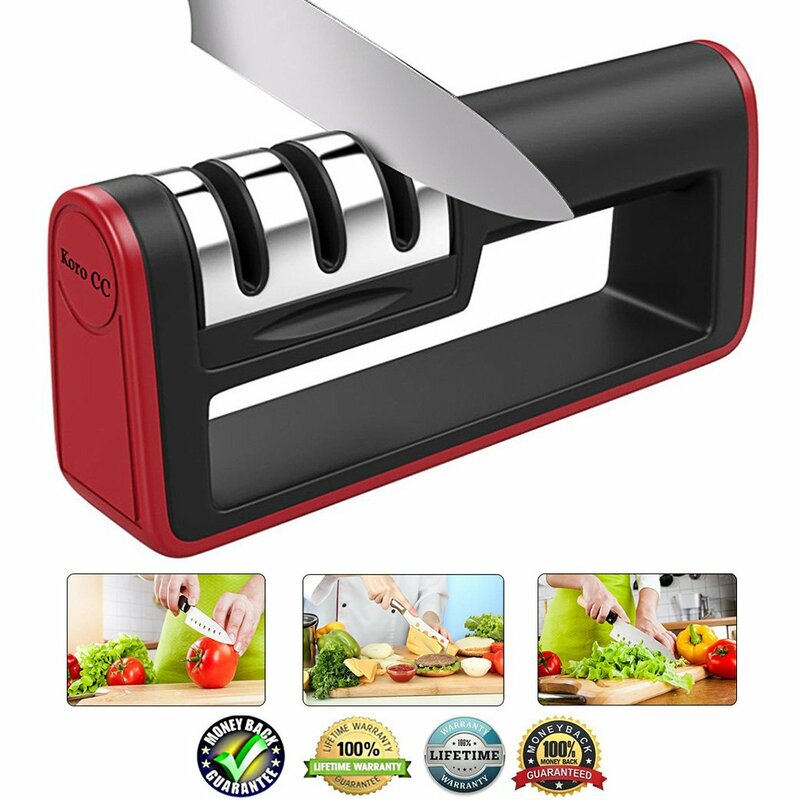 Made with stainless steel, this knife sharpener is made to last through the years.